If you're bored with the ubiquitous chocolate easter eggs and bunny rabbits, then why not try something more Australian: Easter Bilbies! On Saturday, 4th April and Sunday, 5th April 2015, the Kanyana Wildlife Rehabilitation Centre will be hosting an Easter event. You can try something different with your family, and meet Kanyana's resident bilbies. 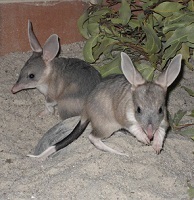 You can also investigate the differences between bilbies and bunnies, complete a Discovery Centre Bilby Hunt, and even play bilby bingo. Two new additions, twin baby bilbies, will be there. Their new names will be announced at the event, chosen from suggestions that were emailed in. See the centre's Facebook page for more details. Easter Bilby Fun for Everyone! If you don't live near Lesmurdie, where the centre is based, you may not know that, for over 30 years, the Kanyana Wildlife Rehabilitation Centre has been providing specialised care and expertise to sick, injured, and orphaned native animals. After seeing what they do, you may even consider joining as a volunteer or associate member, so they can continue their great work. They have an education team, who give talks within the community, or at the centre. There are also Discovery Tours every Thursday and Sunday, and Nocturnal Tours on the first Friday and second Saturday of each month. 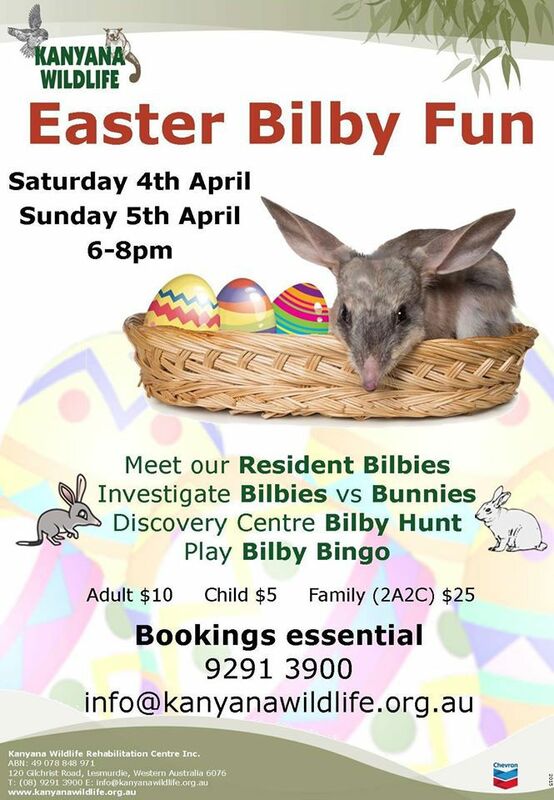 The Easter Bilby event runs 6.00pm to 8.00pm each day. I've never even heard of bilbies before. Are they native/exclusive to Australia? 5 WA Wine Experiences You Need to Do at Least Once!